My last day on the FIS Alpine Training Camp began at 4am when we were driven back to Innsbruck. I met up with my parents and my sister, Florence, who had been skiing at the Youth Olympic Games. My Dad drove Florence and me to Champery, in Switzerland, where we skied at the Welsh Championships in Les Crosets. I came out in the first run of the GS but managed to get my points down in the Slalom where I scored 107. 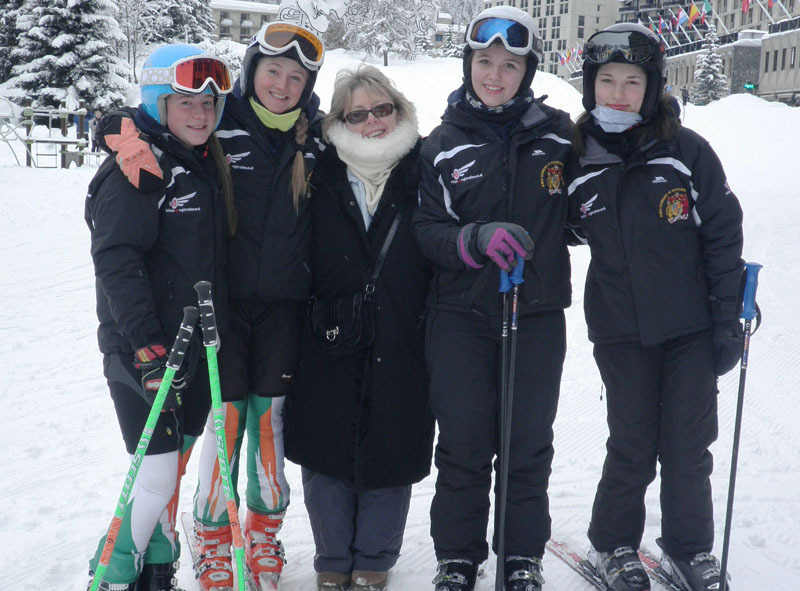 On the Friday morning, immediately after the races in Les Crosets we drove back to Geneva where we met up with my Mum, my Headmistress and other members of the school team (and various of their family members). 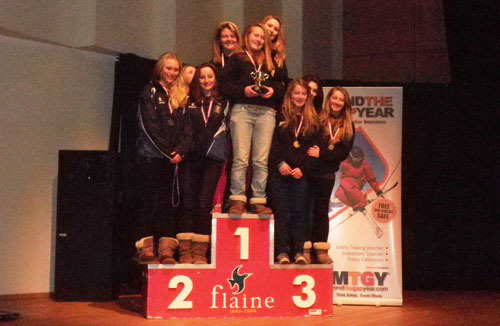 We all travelled together to Flaine, in France where we competed in the British Schoolgirls' Races. My school is King Edward VI, Handsworth and the team for this year was my sister, Florence, Miriam Korsgen, Francesca Foley and me. We were beyond excited to win the GS and to be 3rd placed School in the GS and SL combined. This was our best ever achievement and our Headmistress, who retires this summer, was very pleased! On a personal level, I was delighted to come 3rd overall in Junior 2 behind Emily Evans and Charlotte Guest.